SEILFABRIK ULLMANN GMBH, Sfoara si snur, Net bridges, Load securing equipment, pe EUROPAGES. Ropes for water sports With our high-performance ropes for water sports, you will always be ahead of the game – when sailing, windsurfing and driving motor boats. This is because the function, material and structure of our ropes, sheet ropes, halyards and nets are optimally tailored to your intended purpose, giving them superior features. 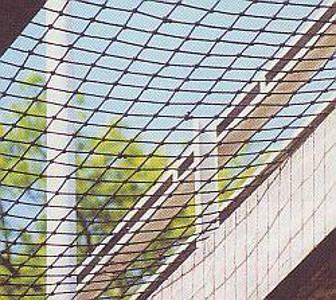 Construction and industry products Our diverse range of ropes, straps and nets, in addition to wire ropes and chains, together with their accessories, is versatile enough to meet all your varied requirements. Wherever possible, we will make your work easier by providing intelligent solutions. For example, with our grassing net in which the grass seeds are integrated into the rope. 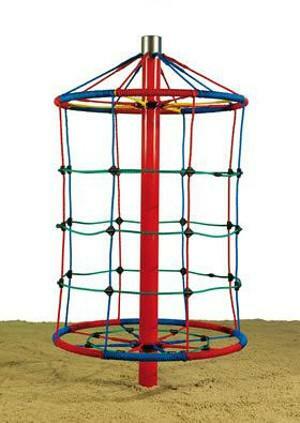 Playground equipment/nets made from Usacord Long-Life rope. As pleasant to the skin as hemp, as indestructible as steel. 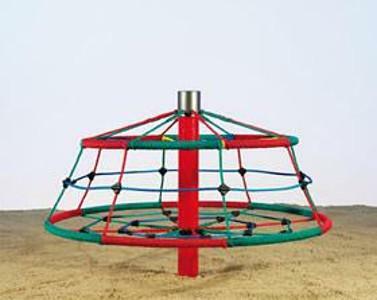 Rotating climbing towers, climbing pyramids, nest swings.